Are you planning to take your RV on a Central Florida vacation or weekend trip to Disney World? 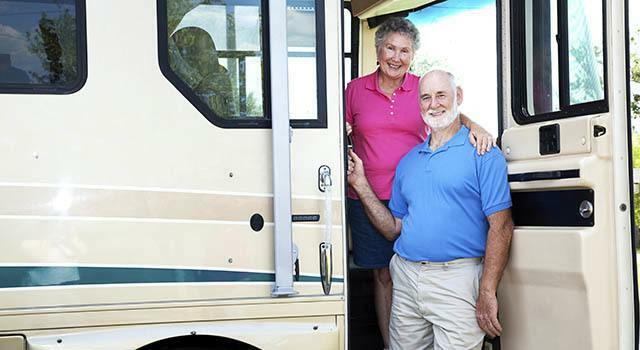 Maybe you are a snowbird living near Lake Nona who loves to RV. We understand RVing is a favorite American pastime and that Southeast Orlando is an ideal place to own a recreational vehicle. That is why we offer boat and RV storage in Narcoossee with your Central Florida lifestyle in mind—enjoy convenient 24-hour access 365 days a year, industry-leading security features, and online bill pay. Metro Self Storage offers our customers top-notch service that comes with more than 40-years of storage industry experience. We understand that city ordinances and homeowner’s associations often discourage parking RVs on streets or in driveways. Public RV parking can come with security risks too. However, when you choose our Narcoossee RV storage facility you receive value, convenience, excellent customer service, and security—it’s what we call the Metro Advantage.